This reversible organic cotton tote bag is only $1.99 shipped after you use code CHNEG5 at One Stop Plus! 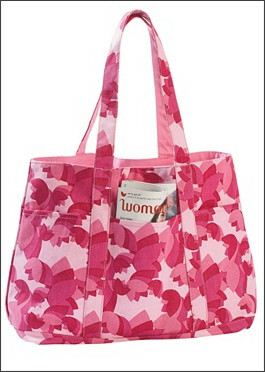 It's made with 100% organic cotton, and it has 3 pockets, too! A portion of the sales goes to breast cancer research. Wouldn't this be cute to fill with little gifts in place of a gift basket?